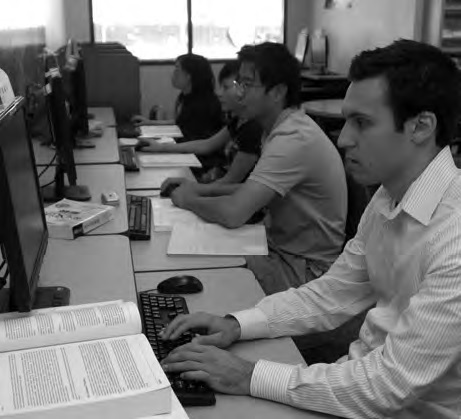 The curricula of the College of Engineering and Computer Science are designed to prepare students for careers in engineering and computer science and for further study and specialization in graduate work. The faculty of the college is actively involved, not only in instruction and scholarship, but also in the advisement of students on topics relating to the planning of career and program goals. Cooperative education and internship programs are generally available. The Engineering - Undeclared option is designed for students who are interested in pursuing an engineering education, but are undecided on a particular major within the College of Engineering and Computer Science. The Associate Dean of the college will provide academic advising, help students explore their academic interests and guide students through the process of selecting and declaring a major. Students admitted as Engineering - Undeclared must declare a major before the beginning of the third semester. The option is open only to freshmen applicants and is not open to transfer applicants. Transfer applicants must choose a specific major and should apply to that major. Courses are designated as EGGN in the class schedule.